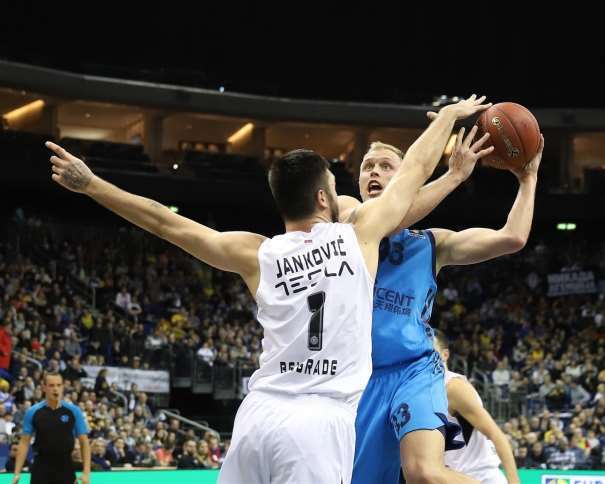 In the last, EuroCup Top 16 6th round, Berlin won, 97 – 74, as a host, against Partizan. 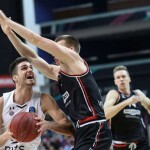 With this win, the German team finished this Top 16 as the first team of this Group, with 5 victories and 1 loss (against Partizan in the second round with a score 78 – 66, as mentioned yersterday in “@EuroCup Top 16 Round 6: @PartizanBC will say goodbye from Europe in Berlin“), and will face Málaga, the second squad from the Group G (in the last round the ACB squad lost against Crvena Zvezda in Belgrade with a 105 – 89 scoring). The team from Berlin will have the home advantage against Málaga in the Playoffs due to its better position after the Top 16. On the other side, the Black and Whites finished their European adventure with 2 wins and 4 defeats in this Top 16. At the beginning of the match it didn’t look like that the difference will be of 23 points for Berlin at the end. 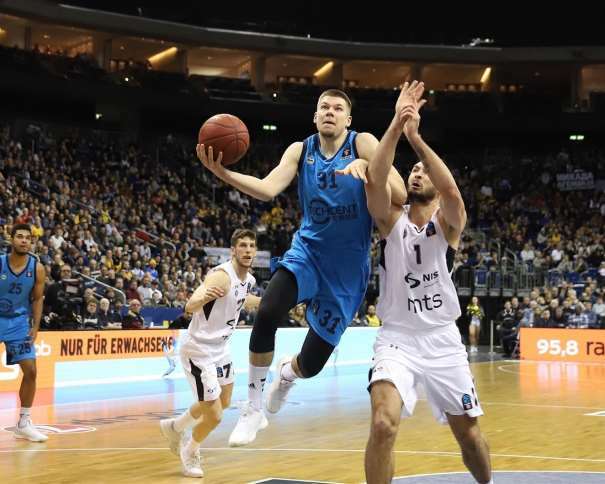 The second quarter decided the winner, while in the fourth, the matter was only if Berlin would score more than 100 points. 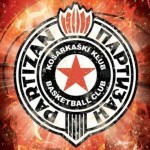 Lucky for Partizan, that never happened because the home team was stopped at 97. After the first quarter of the match, Partizan was leading by 5 (18 – 23), but in the second quarter the hosts woke up and scored 29 points, while only allowing Andrea Trinchieri’s squad to score 11. The result after 20 minutes was 47 – 34 for Berlin. After the 15 minutes break, the match continued, being an equal quarter. Both teams were playing an excellent defense and both squads scored 19 points in those 10 minutes, so the result before the last quarter was 66 – 53 and, at the end, the hosts only increased their advantage and secured their victory. Rokas Giedraitis was the best in the winning squad. The Lithuanian player scored 19 points (index rating of 24) and his teammate Luke Sikma added 8 with 11 rebounds and also 8 assists (index rating of 21). Niels Giffey was the second top scorer of the team with 17 points (index rating of 13), while Martin Hermannsson scored 12 (index rating of 10), Tim Schneider 11 (index rating of 10) and Jonas Mattisseck 10 and 6 assists (index rating of 13). 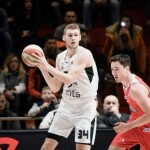 In Partizan, Vanja Marinković had the most points for the team (18, index rating of 11), while Jock Landale was the best on the court with an index rating of 15 (11 points and 6 rebounds). The last player who finished the match with double-digit scoring was Aleksej Nikolić with 10 points (index rating of 9), while Alex Renfroe ended this European story with 8 points, 6 assists and 3 rebounds (index rating of 12). After this last game in the second best European club competition, Partizan can now focus on the ABA League and the Radivoje Korać Cup. The Black and Whites were last year champion and will try to defend it from February 14th till February 17th. But before the Cup, the first upcoming challenge is the game against Budućnost in the regional league this weekend.